AN ESSAY ON CRITICISM, WRITTEN IN THE YEAR 1709. •. PART I. •. PART II. •. PART III. •. Produced by Ted Garvin, David Garcia and the Online Distributed Proofreading Team. 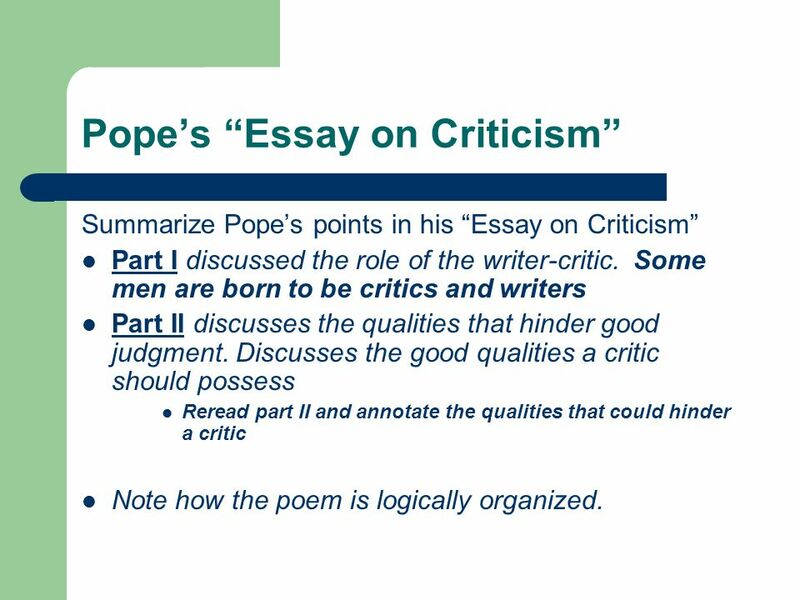 AN ESSAY ON CRITICISM. BY. ALEXANDER POPE,. WITH INTRODUCTORY AND EXPLANATORY NOTES. ALEXANDER POPE. * * * * *.